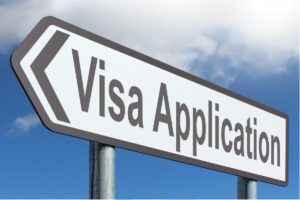 Many migrants come with the dream to work in regional Australia and for them, the visa option stands to be 187 visas which are also known as RSMS Visa. This is a permanent residence visa for all those migrants who want to work in regional Australia. The Department of Home Affairs has introduced a new list for Regional Sponsored Migration Scheme visa (RSMS) which has been made effective starting from March 18th, 2018. The Regional Occupations List (ROL) which is aimed at addressing the occupational and work needs of regional Australia has 465 occupations ranging from primary school teacher to welfare worker and geologist to winemaker. This occupation list will be applicable for Subclass 187 Visa, which is a permanent residence visa for migrants willing to work in regional Australia. This is available in two streams, namely, Temporary Residence Transition (TRT) stream and the Direct Entry (DE) stream. To be eligible for the said visa, the migrant must be nominated for the visa by an employer in regional Australia. Further, the applicant must be under 45years of age and has to meet the requirements with respect to English language and qualifications and skills. The applicant must also score positive on the skill assessment and has to show relevant work experience. You can check out the Regional Occupation List (ROL) here. These additional conditions are fearing education advisors that many international students will not be able to satisfy these needs and hence will not be eligible to work in regional Australia. Earlier by doing a VET course, the student got jobs like restaurant managers, store managers, in cafes or worked as Chefs and cooks in regional areas, but now the pathway has become more difficult. I’m 57 and have been a union stagehands for 23 years. Any chance of getting a job in my field?